After months of watching the bloody battle from the sidelines, California is finally getting its chance to weigh in. 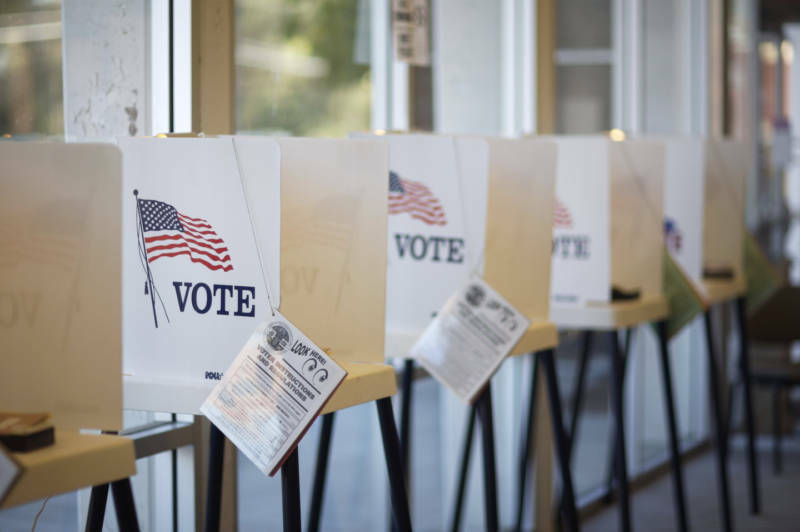 On Tuesday, June 7 the Golden State hosts its presidential primary, one of the last state's to participate in a nominating process that started way back in February. But with so much attention on the presidential race, it's easy to overlook some of the high stakes local and statewide contests on Tuesday's ballot, including a heated U.S. Senate race to replace Barbara Boxer. And that's where the voting process gets confusing, namely because California's statewide contests follow a different set of rules from its presidential primary. 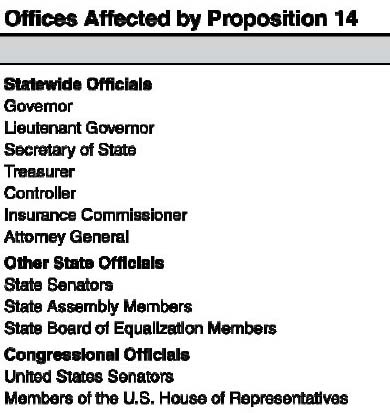 California's presidential primary is known as a "modified closed system." 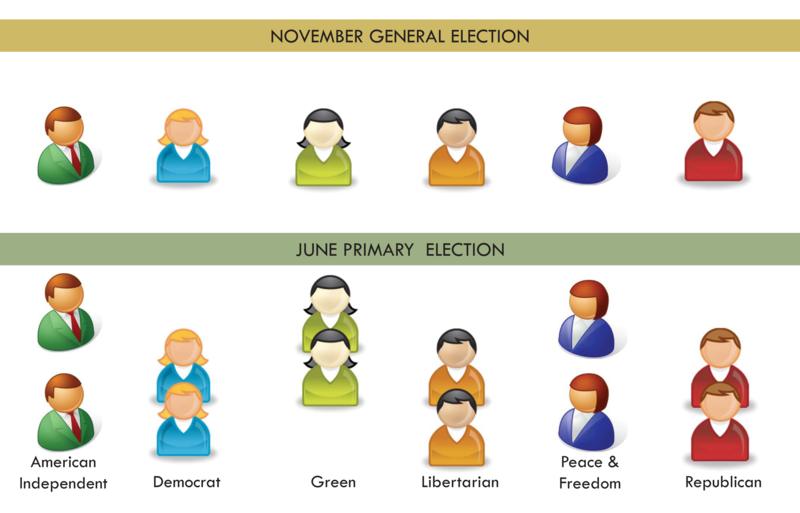 If you're registered with a particular political party, you can only vote for candidates in that party (i.e. registered Democrats can only choose between Hillary Clinton or Bernie Sanders). But in California, nearly 25 percent of all registered voters are not affiliated with any party (known as "No Party Preference" voters). These voters receive a default non-partisan ballot that does not list any presidential candidates. However (and here comes the "modified" part), NPP voters can request to receive the presidential ballot of either the Democratic Party, the American Independent Party or the Libertarian Party (but not the Republican Party), and vote for those parties' respective candidates. 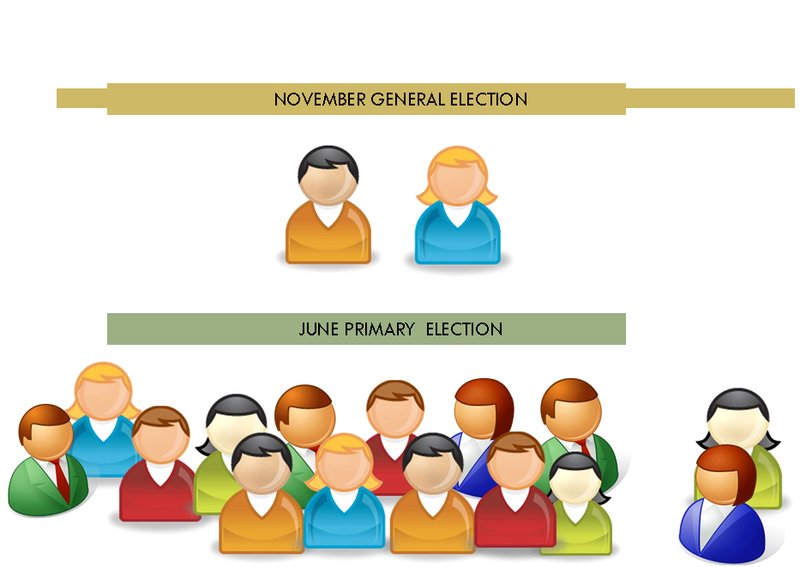 In both the Democratic and Republican presidential primary contests, candidates win state party delegates in proportion to the number of votes they receive: the more votes, the more delegates. So what about the top-two system? The first thing to remember about California's relatively new top-two voting system is that it only applies to statewide and legislative races, as well U.S. Senate and U.S. House races (not the presidential primary or local races). It's an open primary system, which means party affiliation does not matter. You can vote for any candidate you want! In these races, every eligible candidate from every party is lumped together in one big political crock pot (yes, that's "crock," not "crack"). The two candidates from any party who receive the most votes in the primary will then face each other in a runoff in the November general election. That's why your ballot this year will be overflowing with a shockingly long list of U.S. Senate candidates - a whopping 34 to be precise. It includes every candidate from every party running for that office. Let's say six Republicans, six Democrats, two Libertarians and one Green Party candidate are running for a state Assembly seat in your district. You're free to vote for any candidate you want, regardless of party affiliation. The top-two vote getters in that race then face off in the general election. That could even result in two candidates from the same party running against each other. Unlike the old, traditional closed voting system, third party candidates are no longer guaranteed a spot on the November ballot unless they've received the highest or second highest number of votes in the primary. And under the newer system, voters can only add write-in candidates during the primary, but not during the general election (again, this does not apply to the presidential primary). For more on how the process works, see Alameda County's excellent illustrated guide. From 2001 to 2011 (when the top-two system took effect), California had a “modified" closed primary system. That meant you could only vote for candidates in your own political party (with the exception of non-partisan offices like county judges and education officials). For instance, if you were a Democrat, your ballot would only list Democratic candidates for national offices, or state senate, or governor or whatever other political races were happening in that particular election. However, just to make things that much more confusing, there was a caveat: No Party Preference voters could participate in a party's primary election "if authorized by the individual party's rules and duly noticed to the Secretary of State." Essentially, the same rules as the presidential primary applied. The candidate with the most votes from each party then advanced to the general election, where he/she would face top candidates from all the other parties. For each political contest, every party participating in the primary election would be guaranteed a spot in the November general election. The top-two system came about as a result of Prop 14, which voters approved in 2010. The measure was championed by Gov. Arnold Schwarzenegger ostensibly to reform California’s bitterly divided political system. Proponents successfully made the case that an open primary would force candidates to appeal to voters across party lines and reach a larger swath of the public, resulting in a less divided class of elected officials. Backers also argued that increasing the number of choices on the ballot would boost voter turnout and lend greater political voice to California’s growing contingent of independent voters. Both the state’s Republican and Democratic party leaders, as well as a number of smaller parties and big labor unions, strongly denounced the measure on several grounds. They argued it would make primary campaigns significantly more expensive (because candidates would now need to appeal to a larger swath of voters across party lines) and thus benefit the richest candidates with the most name recognition. Opponents also argued that it would decimate the authority of individual political parties and all but eliminate opportunities for third party candidates to advance to the general election. In the end, though, the measure prevailed with 54 percent support, an indication of the public’s growing discontent with California’s political establishment. Some analysts, however, suggested that many voters supporting the measure didn't completely understand what they were voting for. And interestingly, San Francisco and Orange County, on opposite ends of California’s political spectrum, were among the only counties to oppose it. No -- just California politics. In 1996, voters approved Proposition 198, which instituted the “blanket primary.” The system was similar, in that voters could choose any candidate regardless of party affiliation. But it still resulted in one candidate from each party advancing to the general election. The system was challenged in federal court and ultimately struck down by the U.S. Supreme Court in a 7-2 decision on the basis that it violated a political party's First Amendment right of association. More recently, another attempt to institute open primaries in California appeared on the 2004 ballot, but got the smack-down. So get used to the top-two system, because it's here to stay. For now, at least.